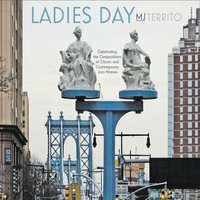 Ms Territo has assembled an interesting programme of music with words or music written by women composers and performed here by an all- female combo. The opening selection is No Time For Snoozin’ which the vocalist wrote herself. In Your Own Sweet Way which follows was composed by Dave Brubeck with words by his wife Iola. This one features a strong vocal and a very tasty flute solo from Andrea Brachfeld. I’m Shadowing You, which was put together by Blossom Dearie and Johnnie Mercer also benefits from a swinging flute solo by Andrea. Linda Presgrave’s light touch at the keyboard is a feature of all these selections and the rhythm team of bass and drums support tastefully throughout. Most of these pieces are by the quartet of singer, piano, bass and drums although Virginia Mayhew adds her crisp tenor sax to Strange Fascination and Brandee Younger makes a melodic contribution to True on harp. All the songs are interesting and most are not over represented on disc. Music by Elmo Hope’s wife, Bertha and contributions by Mary Lou Williams and Abbey Lincoln are all well played and strongly feature both vocalist and instrumentalists. Perhaps a well- known standard or two, such as Willow Weep For Me could have been included for more variety but generally this is a really good, nicely balanced programme which offers a jazz vocal recording with a great line up and a number of fine, if rarely played tunes.